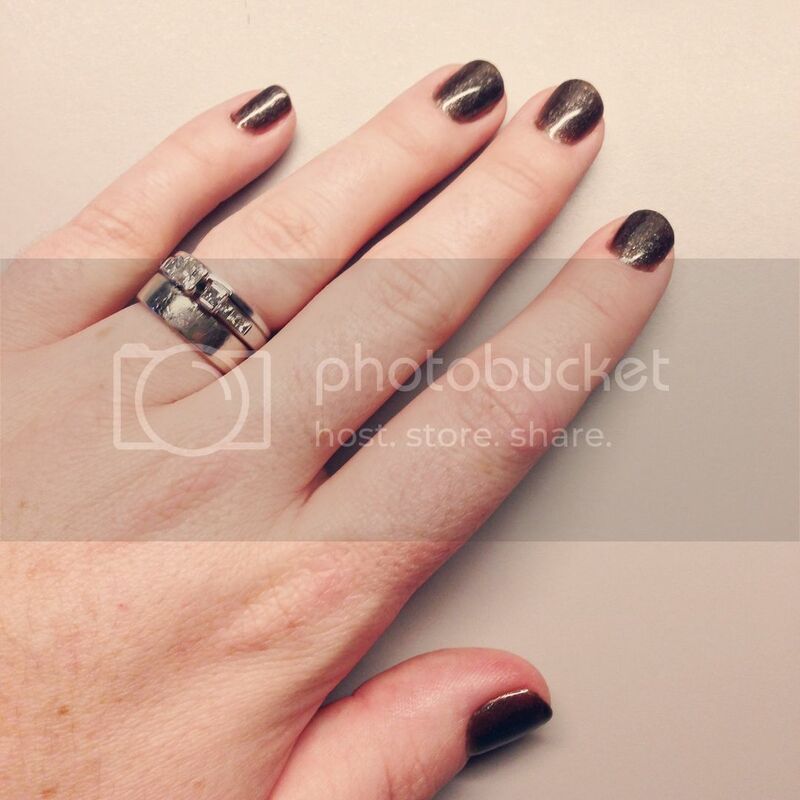 On Sunday, I got my very first gel manicure. (Yay, 30 Before 30 progress!) 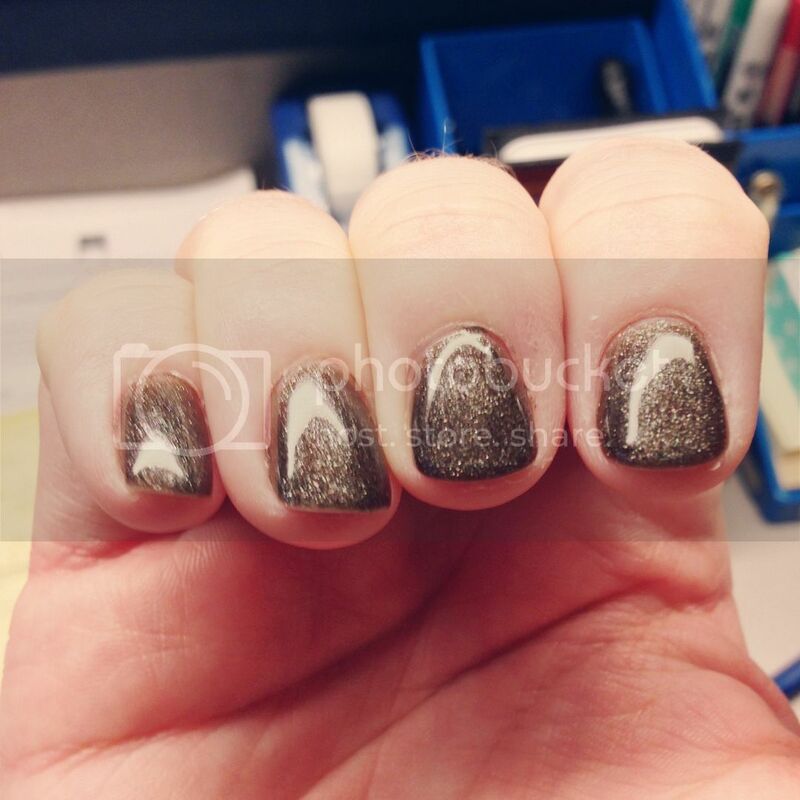 I went to the Ulta salon, and got the fancy-pants OPI Gelcolor Nail Service. I could have probably gone to pretty much any nail salon, but I liked the variety of colors Ulta offers. I wanted a color that was somewhat on the neutral side (since it supposedly lasts for weeks), but with a little bit of pizazz (always gotta have pizazz!). I went with a brown-grey with a hint of green called My Private Jet. The pictures below are from day 2. I don't know that I'll be getting gel manicures on a frequent basis (there are risks), but I'm glad I can say I tried it at least once. P.S.—If you missed my bonus post last night, you can check out my submission for the Blogacademy Austin scholarship here! Oooo, they're gorgeous. :D I love the color!!! I love gel polish. You chose a great color. I couldn't handle the $50 every two week luxury, so I bought the OPI system from Sephora and I love it. Saves time and money, if you want to commit to it. As for the risks, buy the UV gloves. I look crazy but at least I'm safe! OML! A Loki'd gag reel!